Monday’s arrival of the largest container vessel to visit Port Chalmers in the past 47 years heralds a significant change for Southern export services. Rio de Janiero will be the first of seven ships capable of carrying more than 5900 TEU’s (20ft equivalent units), calling at Port Chalmers every Sunday. The change from L-class to the larger Rio-class ships is effectively an upgrade of shipping giant Maersk’s existing Southern Star network, meaning potentially up to an extra 500 containers per week through Port Chalmers during the peak export season. Instead of weekly L-class ships which carry 4000 to 4500 TEUs, Maersk Rio-class ships can carry more than 5900 TEUs. They will travel to Southeast Asia, where containers can also be offloaded for delivery to the Middle East and on to Europe. Maersk’s other southern New Zealand network, the Trident Service, will now come from Timaru’s Prime Port and tranship full containers at Port Chalmers, bound for Southeast Asia and beyond, before Trident takes other Southern exports on to North America. Port Otago chief executive Kevin Winders was contacted in Australia and said while full-year forecasts had not been completed, at the top of the dairy season there could be an extra 500 containers a week arriving by sea at Port Chalmers, for transhipment to the Rio-class ships. He expected produce from Fonterra and Silver Fern Farms would make up the bulk of exports. The older L-class vessels carry fewer containers and had a deeper keel draught of 14m, while the Rio-class was 21m longer, at 286m, but fully laden at near 80,000 tonnes had only a 13.5m draught, he said. However, Mr Winders noted that off season there may be few, if any, extra TEUs arriving at Port Chalmers. Port Otago would still maintain its Timaru to Port Chalmers rail service, which handles about 10,000 containers annually, and Mr Winders said it was likely to be a more attractive alternative to shipping for exporters south of Timaru. Last financial year Port Otago had a 10% increase in container numbers, with 205,000 across its wharves. Port Otago had dredged the shipping channel to near 14m deep, at low tide, so the new Rio-class vessels could enter and depart Otago harbour during any tidal phase. Mr Winders said while Port Otago had consent to dredge to 15m deep, it would focus on widening the edges of the shipping channel. A weekly Maersk “blue ship” will arrive at Port Chalmers from Timaru each Friday, and Maersk’s Rio-class “red ships” will arrive on Sundays. The Rio-class ships are liveried in the colours of Hamburg Sud, the shipping line which Maersk acquired last year. Otago Chamber of Commerce chief executive Dougal McGowan welcomed the Maersk service upgrade, given the amount of risk and investment Port Otago had undertaken during the past decade. Tens of millions of dollars had been spent by Port Otago, including cranes, attendant vessels, the just completed extension of the multi-purpose berth and deepening and widening of the shipping channel from near Taiaroa Head to Port Chalmers. “This shows shippers have confidence in what Port Otago can deliver … Port Chalmers is the choice for exporters,” he said. The now permanent Southern Star rotation will be from Tanjung Pelepas in Malaysia, to Singapore, Brisbane, Sydney, Tauranga, Napier, Lyttelton, Port Chalmers and back to Tanjung Pelepas. Rio de Janeiro, is Singapore flagged and scheduled to arrive at Port Chalmers about 9am on Monday, and depart Tuesday, at 6pm. It will be the largest vessel to call since the first container ship called at Port Chalmers in June 1971. Built in 2008, the ship is 286.5m long by 40.1m wide, has a gross tonnage of 73,899 tonnes and container capacity for up to 5905 TEUs. Before Port Chalmers, Rio de Janeiro was on Australia’s east coast before stopping at Napier, Tauranga and Lyttelton. On June 28, 1971 Columbus New Zealand was the first container ship to leave New Zealand, from Port Chalmers, carrying the first containers of meat for North America’s east coast. In February 1882, the refrigerated sailing ship Dunedin departed Port Chalmers with New Zealand’s first cargo of frozen meat for London, arriving 98 days later with its cargo intact. Port Otago’s former chief executive Geoff Plunket. Photo: Gerard O’Brien. Port Otago’s Geoff Plunket is weighing anchor after 29 years with the company, the last 13 as its chief executive. Mr Plunket reviews his time with ODT senior business and port reporter Simon Hartley. It’s probably understandable the man who has overseen the intricacies of running Port Otago for the past 13 years wants to keep his retirement plans detail-free and open-ended. Harbour Board into its present-day form under the 100% ownership of the Otago Regional Council. There has been a decades-long ramping up of container numbers from a relatively paltry 40,000 in 1989 to 220,000 at their peak, the number having since levelled off to about 180,000. One of the two Chinese-made cranes being delivered in June 2007. Photo: Stephen Jaquiery. There were minor ship groundings, painful redundancies and restructuring to be worked through at the port as well as industrial action, but there was also a steady turnaround, result ing in a record 320 employees today. “Fundamentally, it’s always been about the people, both the staff and customers,” he said. And there were major highlights, such as Port Otago’s corporate “masterstroke” of grabbing a shareholding in arch-rival Lyttelton Port of Christchurch, which would ultimately reap Port Otago tens of millions of dollars. Mr Plunket was born in Christchurch and his family later moved to Alexandra, where Mr Plunket attended Dunstan High School, before the family moved to Dunedin. Mr Plunket followed his father into the finance sector, gaining a bachelor of commerce degree from the University of Otago and going on to become a fellow of Chartered Accountants Australia and New Zealand. Cruise ship Golden Princess nudges into Port Chalmers, to berth opposite container ship Laust Maersk. Photo: Stephen Jaquiery. 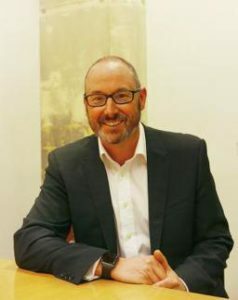 He started working in public practice with Coopers & Lybrand in Dunedin in the 1980s, after which he took up a position with the company in Birmingham, England for two years. He then returned to Dunedin, again to work for Coopers & Lybrand, which was followed by a year with KPMG. He joined Port Otago as financial controller in 1988. The Otago Harbour Board was split up, its 20million shares going to the Otago Regional Council, along with many of its recreational maritime responsibilities, while some land was divested to the Dunedin City Council. That shareholding has been crucial to the ORC, having yielded more than $148million in dividends and special dividends to date. Mr Plunket identifies ‘‘two big turning points’’ for Port Otago. The first was in 1998, when shipping giant Maersk extended its New Zealand port calls to include Port Chalmers. This meant much of what had been shipped as bulk items now went into containers and container numbers began rising. Maersk is now Port Otago’s largest customer. ‘‘That on its own gave us a lot of customer growth,’’ he said. began in December of that year. That left Port Chalmers well placed to capitalise on the then-burgeoning boom in dairy and forestry exports. ‘‘That gave us a substantial lift in container volumes,’’ he said. In 2004 Mr Plunket took over from Rene Bakx as chief executive, having risen from financial controller to deputy chief executive in 1997. Large warehousing developments costing millions of dollars were undertaken and had “become an integral part” of the services Port Otago offered. ‘‘It [P&O] was a big win and morale booster for staff. ‘‘It also gave us the confidence to start investing, such as the new [Chinese-made] cranes,’’ which came at a cost of $21million. Log shipments are a recent success story. Before the 2007-08 global financial crisis only 200,000cum of logs were going across the wharf, and the sector had been struggling for several years. Over the past two years, however, log export levels have been in the 700,000cum to 900,000cum range. ‘‘We now have more log ships coming each month than we would have had for an entire quarter,’’ Mr Plunket said. He was also proud of the surge in cruise ship visits to Dunedin. They were ‘‘an important factor’’ for Port Otago, and he was pleased numbers had edged up for the forthcoming season to 87 scheduled visits. Port Otago subsidiary Chalmers Properties has also become an increasingly important addition to the balance sheet. He was pleased the company’s Hamilton commercial development and recent Auckland purchases were providing ‘‘strong and positive’’ revenue streams. Mr Plunket’s tenure has spanned those of the Port Otago board’s four chairmen, Sir Cliff Skeggs (1989-98), Ian Farquhar (1998-01), John Gilks (2001-10) and incumbent Dave Faulkner. Mr Plunket’s ability to reel off their names and time as chairmen from memory reveals a facility for detail and accuracy. While praising the four chairmen equally, he singles out Mr Farquhar as having been a ‘‘genuine mentor’’. It was during Mr Gilk’s tenure as chairman the Port Otago board risked taking a stake of more than 15.5% in rival Lyttelton Port of Christchurch, for $37million, in what was a ‘‘masterstroke’’. That stake was sold for $65.7million in 2014, wiping much debt from Port Otago’s books. ‘‘The [share] sellers never knew who was buying them,’’ Mr Plunket said of the stealth involved in incrementally building up the 15.5% stake. At the time Mr Gilks was loath to admit the stake was taken to stop an overseas company from taking over Lyttelton Port of Christchurch, which would have been to the detriment of Port Chalmers trade. Mr Plunket’s more modest take on it was that it ‘‘gave us a seat at the table’’. That had included some speculative, but unpopular, merger talks, which were shelved. Unlike some ports, large and small, Port Otago has kept up with maintenance work, rarely deferring such programmes. During Mr Plunket’s tenure as chief executive, more than $300million has been ploughed into infrastructure upgrades and maintenance, plus its fleet of tugs, cranes and straddle carriers. The beginning of the end of that expenditure is in sight with the recent start of phase 2 of the $21million ‘‘Next Generation’’ channel dredging programme, to attract larger vessels. He signalled to the board three years ago his intention ‘‘to retire by 60’’. ‘‘There was succession to organise. Fresh leadership is good — a new set of eyes is always positive. Port Otago’s strength lay in its staff, not just wharfside but also warehousing, and Mr Plunket highlighted weekend work, sometimes in atrocious weather conditions. Both the Asian crisis in 1997 and global financial crisis in 2007-08 had taken a toll on exports. Port Otago won the Otago Daily Times Business of the Year in 2014. He still had ‘‘several weeks of loose ends’’ to tie up, before taking extended leave. He will formally retire in September. Regarding retirement plans, Mr Plunket, despite being a stickler for detail, was surprisingly noncommittal. A keen tramper and mountain biker for many years, he had also completed five Kepler Track challenges and Hawea Epic races, in the ‘‘classic’’ 95km mountain bike division. suggested by many friends, he said. ● Mr Plunket formally left the chief executive role last Friday, and his replacement, Dunedin businessman Kevin Winders, started on Monday. The pair spent almost three weeks in Asia and Europe, touring ports and meeting customers. Port Otago’s impressively-advanced leadership succession process has now concluded, with current Silver Fern Farms chief operating officer Kevin Winders confirmed as its chief executive designate. Described as having a strong financial and strategic skill set as well as good understanding of shipping though involvement with Kotahi, Mr Winders is to join the port company in February and ultimately succeed current chief executive Geoff Plunket at the end of 2017. Port Otago chairperson David Faulkner says the appointment culminated a three-month recruitment process, which followed Mr Plunket recently announcing he was to retire from the position he has held since 2004. “There were a number of very strong candidates and Kevin ticked all the boxes,” says Mr Faulkner. Describing as “an honour and a privilege” what will be about 30 years’ involvement with the port at the end of 2017, Mr Plunket says he has no plans to move onto the board. “A new management team needs the opportunity to run the business in the way they think is appropriate and that may be different to how I’ve done it,” he says.